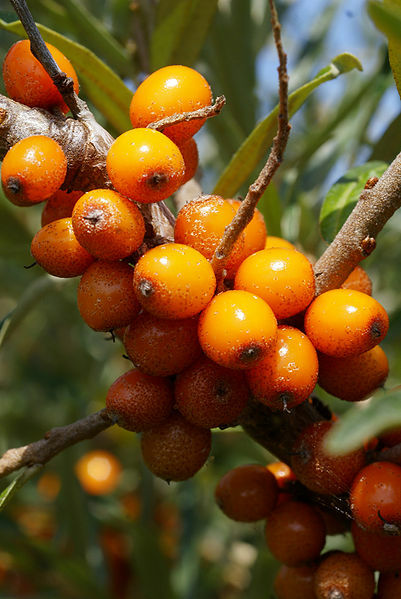 Sea buckthorn is a shrub-like plant with bright orange berries that grows along sea coasts in Europe and Asia. The berries’ juice, pulp, and seeds contain omega fatty acids and vitamins (especially vitamins C and E). When sea buckthorn products are applied externally, they perform an antioxidant function, restoring and repairing the skin. Taken internally, they also provide health benefits. 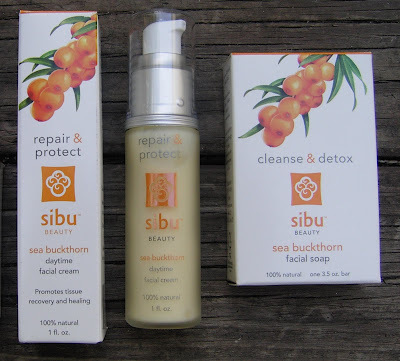 Sibu Beauty’s entire product line features fair-trade, sustainable sea buckthorn, grown and harvested in the Himalayas. 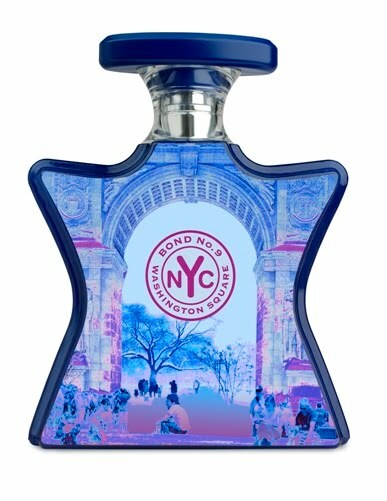 I had the chance to sample these products over the course of a few weeks, so here’s a quick review. Revitalize & Renew Liquid Supplement is packaged in a plastic bottle. It’s a tangy-sweet, orange-colored juice blend that includes everything from apples to bananas in addition to sea buckthorn juice. It tastes something like apricot nectar. I’ve been drinking a shotglass-sized amount every day, either by itself or added to my usual morning glass of orange juice. The Cellular Support Softgels are reddish gel capsules for an extra nutritional boost; they’re easy to carry with you or keep in your desk at work. I’ve added the Cleanse & Detox Facial Soap to my nighttime beauty ritual. It’s a yellow-orange bar packed with sea buckthorn pulp and bits of sea buckthorn leaves; it has a light citrus scent, it lathers up well, and it removes my makeup and left my face feeling clean without any tightness. The Repair & Protect Facial Cream is a perfect follow-up to washing. It contains sea buckthorn seed oil, meadowfoam seed oil, and glycerin, with a slew of other natural ingredients, and its light but luxurious texture makes it feel like a high-end beauty product. Sometimes I use the Facial Cream by itself, and sometimes I mix a few drops of pure Sea Buckthorn Seed Oil into it. The oil can also be used by itself, as a serum. It’s a certified organic product with no added ingredients, just straight sea buckthorn oil, and it smells very natural: it has an earthy-rooty scent. It absorbs more quickly than many other oils and serums I’ve tried, and it feels smoothing and moisturizing on my skin. I’m also smitten with Sibu Beauty’s Age-Defying Eye Cream, whose ingredients list reads like a fancy salad bar. It absorbs completely into the undereye area, leaves a smooth base for concealer, and doesn’t cause any irritation or clogged pores for me. So, does it all work? 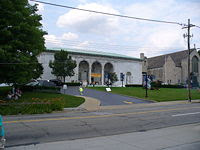 Well, my skin feels soft and supple, and when I recently had lunch with my mother, who hadn’t seen me in a few weeks, she said that my skin looked great. She’s very observant, so I’ll take her word for it! One final note: all items are priced $30 or less (the oil/serum is $15! ), so I can afford to keep using them when my face needs even more moisture and protection this winter. Product photos by Jessica M. Sea buckthorn photo from Wikimedia Commons. 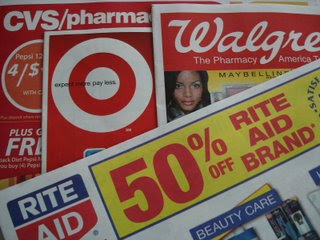 Revlon: Purchase a nail polish, and receive $3.00 extra CVS bucks with CVS card. Nivea: lip care is priced at $2.99 with Rite Aid card, less manufacturers $1.00 coupon in most Sunday papers, + UP Reward $1.99. This makes the lip balm FREE.